Please first keep QuickBooks running and logged in as Admin in single user mode. Go to QuickBooks, "File" list menu, and then check that if there is "switch to Multi-User Mode" option. If there is, then you are running QuickBooks in single user mode. 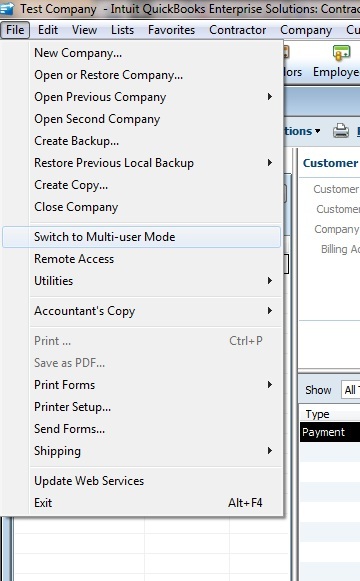 But if there is no this option, click "switch to single user mode" option in the same list menu to set QuickBooks running at single user mode. If you are using "Remote Connector" to build a remote connection, please check that if you have configured it correctly.